The reason I originally started this blog was purely, wholly and entirely selfish. I didn’t set out to help anyone, I wasn’t planning to influence people or raise awareness, I had simply reached a point in my life where if I didn’t get ‘it’ out, I was likely to implode. The very first post was typed out on a blackberry phone; painfully slowly at 4 0’clock in the morning. As the world slept, I watched the sun rise over the car park through the small window of the isolation room in the High Dependency Unit and poured out my deepest, darkest thoughts; my fingers struggling to keep up with the thoughts bursting from my brain. I barely proof read it; I emailed it to a friend and it was gone. And then, finally, came a sense of relief. The pent up feelings of the terrible days that had preceded this slipped away and the sleep that had evaded me all night crept in. From then on, I was hooked. The experiences I couldn’t tell my friends for fear of upsetting them, I could tell people I had never met. The fears I daren’t share with my family for fear of worrying them, I could share with strangers. The deepest, darkest worries that I daren’t encumber my already burdened husband with, I could type and release into the ether. It was both liberating and cathartic. I was anonymous for a long time. Blogging enabled me to say the things I couldn’t, or maybe wouldn’t, say in real life. Slowly, shyly, I shared it with people I trusted. For the most part though I was scared to let people know how I was really feeling, how scared I was, how Hugh’s needs really impacted on us day to day. Instead I posted photos to facebook of us painting or going to the park, not letting on how difficult such simple tasks were or how sad and exhausted I was. But in my blog, it could all come out; the fear, the sadness, the guilt, the anger, the anxiety, all of it. It was like therapy. All the thoughts that whirled and swirled around my head could be spilled out without the fear of upsetting people or of people thinking less of me. I didn’t think of helping anyone else; I could barely help myself, what use would I be to anyone? And yet, despite my initial blogs being an outpouring of anonymous grief and anxiety and fear, I hit a chord with someone and as a result of reading a post of mine, one person joined SWAN UK. It was a little surreal to see her type in her introduction on the SWAN UK facebook page that she’d read a post of mine that had echoed her own feelings. I realise reaching one person is hardly ‘going viral’ but it made me realise that if I felt that way, and she did too, maybe there were others as well. My blog is no longer anonymous and I’ve been lucky enough to have the opportunity to use it to raise awareness of not only our own very personal journey but also of some specific causes that are close to my heart. 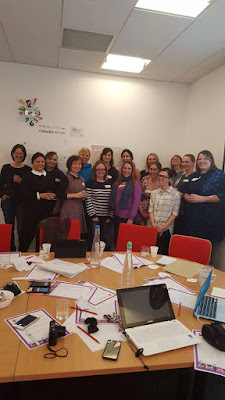 As such, last weekend I had the honour of being invited to the very first SWAN UK bloggers conference where 13 new and experienced bloggers gathered to discuss how we could all work together to raise awareness of undiagnosed conditions and the challenges faced by families searching for a diagnosis. Recent research suggests that an overwhelming majority of parent’s whose child has an undiagnosed condition feel isolated and frustrated. Furthermore, not having a diagnosis is a significant barrier to accessing appropriate care, support and information. These findings would certainly reflect my own experiences and as such, I am keen to do all I can to help change this. The conference covered lots of technical aspects of blogging – widgets, plug ins, self-hosting and the like. Whilst some of it was a bit beyond my own technical capabilities, I picked up lots of valuable tips and hopefully over the coming few weeks, you’ll spot a few changes as I spruce up the blog. But perhaps most exciting was the discussions and plans for undiagnosed children’s day (Friday 29th April 2016). Obviously I’ve been sworn to secrecy, but, as the saying goes … watch this space! So from very small (and slightly self-pitying) beginnings, my little blog is growing to a slightly less small, less self-pitying space. I’m not quite changing the world (yet) but with the back-up of some fabulous fellow bloggers, I’m hopeful that my teeny tiny corner of the internet can help parents feel less isolated and fearful and ensure being undiagnosed gets the recognition (and support) it deserves. 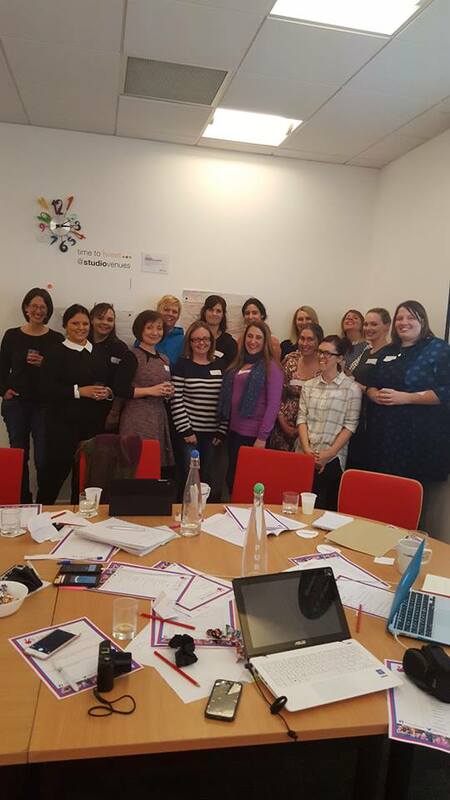 While you’re here, why not pop along and check out some of the other SWAN UK bloggers.